To understand what an African philosophy of education is and why it’s so important, consider the role that universities should play in any society. Universities, no matter where they are, ought to be places where knowledge is internalised, questioned and considered. Such knowledge should respond to a university’s particular social, political and economic context. The pursuit of such knowledge happens in a quest for human development. What would a university be if its only purpose was to produce knowledge without considering its effects on a society and its people? But it’s perhaps precisely this disjuncture – between what universities purport to do and what happens in society – that starts to explain why knowledge in Africa has become so misplaced. This has happened in several Arab and Muslim states, where some universities have seemingly become reluctant to encourage critical learning. Knowledge produced in such universities does not attend to public concerns, whether these are political, economic, social or cultural. African knowledge can’t just be considered for some academic purpose. It must also keep in mind why and how such knowledge ought to affect society. This is why an African philosophy of education can be such a powerful tool for the continent’s post-colonial universities as they work to become producers of knowledge that has a public concern. This is particularly important for African universities. The continent’s citizens have to be initiated into ways of being and living that emphasise human cooperation, openness to debate and discussion, and responsibility towards one another. Many of the continent’s political dictatorships could be avoided if citizens were encouraged to question and disagree. Simply put, an African philosophy of education is a way of asking questions about education in Africa. It allows education students to search for meanings that relate to their chosen field. An African philosophy of education offers a discourse to address the continent’s many problems. These include famine, hunger, poverty, abuse, violence and exclusion of the other. One of Africa’s most common and major dilemmas offers a useful way to illustrate the approach I’m describing: the prevalence of military dictatorships. A student of African philosophy of education would ask how military rule affects education. How might education, in turn, address the restrictions of a military challenge? When the military is in charge, a country’s institutions of learning are expected to toe the line. Coercion and control are the order of the day. There is no room for dissent and democratic engagement. How, if at all, should an African university respond to a society that is under military rule? When students are taught to deliberate – to talk back to others and to listen to them – they would be serious practitioners of an African philosophy of education. Such students would not only willingly engage with others and their differences, but also be prepared to listen to dissenting views. But adopting an African philosophy of education isn’t about just analysing the continent’s problems. Instead a student will go on to envisage how these problems could be resolved by considering education as one possible medium. Then they’ll need to examine what both the problem and its solving might imply for education. Professor Yusef Waghid explains what an African philosophical approach to education entails. 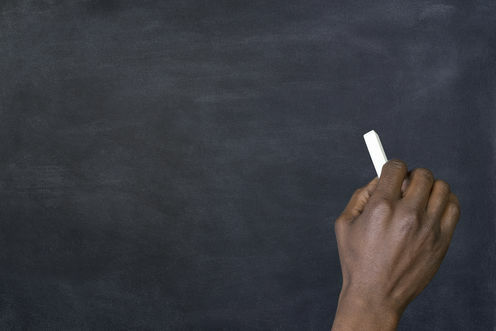 As elsewhere, the idea of doing or practising an African philosophy of education is connected to bridging the pseudo-dichotomy between theory and practice. Some may claim that African philosophy is merely an act of theorising. They are wrong. It’s actually embedded with an energy and drive to change undesirable situations and conditions. In any case, there is no separation between theory and practice. One cannot delink thinking from acting upon happenings in society. Any good theory on education should affect educational practices positively. What constitutes a positive theory of education? To my mind, the answer lies with practices that take shape through autonomous thinking, engagement and freedom made visible through deliberation. In this manner, theory and practice are intertwined. An African philosophy of education also allows inquirers to look at how educational practices – teaching, learning, managing and governing universities on the continent – can be made to feel real. Sadly, it’s rare for many of today’s universities in Africa to teach any philosophy of education. Philosophy of education is wrongly perceived as being some abstract exercise of the mind that’s not connected to real-life issues. Africa’s institutions of higher learning should seek to change this. Any university that wants to advance its status as a knowledge producer ought to be responsive to knowledge claims. It’s here that the idea of an African philosophy of education can become so important. It’s a crucial element for enhancing the autonomy and freedom associated with university teaching and learning. The other key feature of an African philosophy of education is that it’s invariably geared towards addressing the continent’s injustices and inequalities. A university education that is guided by a concern for educational justice – an advocacy for freedom, autonomy, democratic engagement and responsiveness to the other – is one that takes African philosophy of education seriously. Africa’s concerns to move beyond its subjugation to repression and exclusion will gain considerably more momentum if its people can produce analyses and responses to the legitimate concerns that confront humanity on the continent. If this is allowed to happen, African philosophy of education would have acquired significant potency in its educational quest for justice. Yusef Waghid does not work for, consult, own shares in or receive funding from any company or organisation that would benefit from this article, and has disclosed no relevant affiliations beyond the academic appointment above.